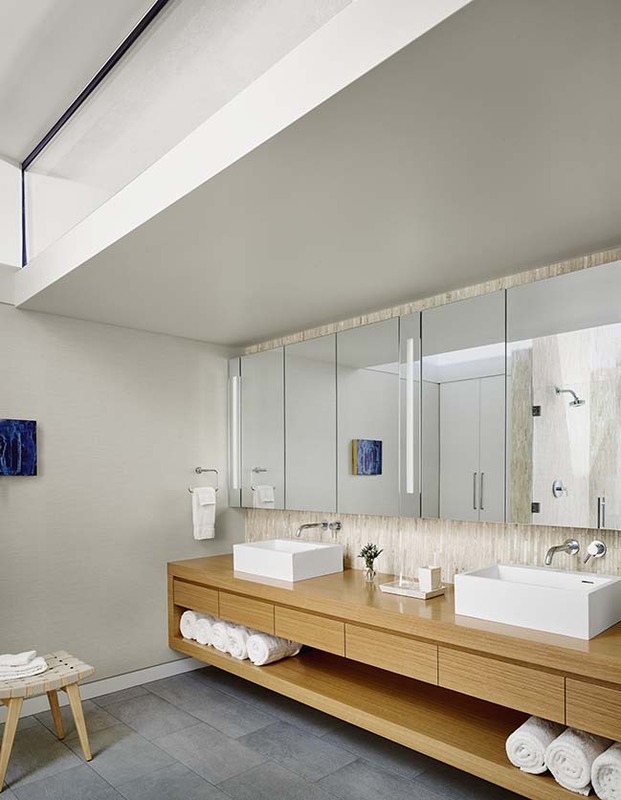 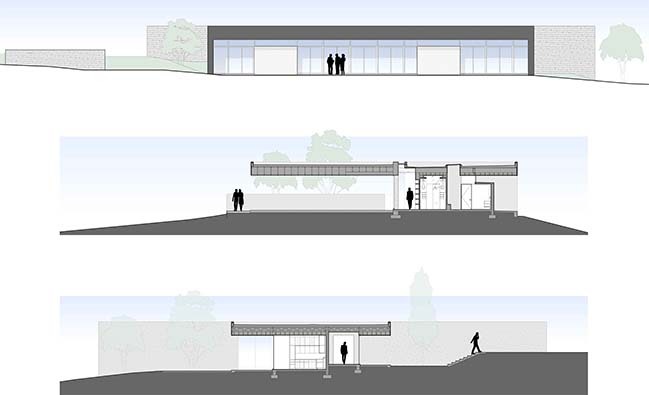 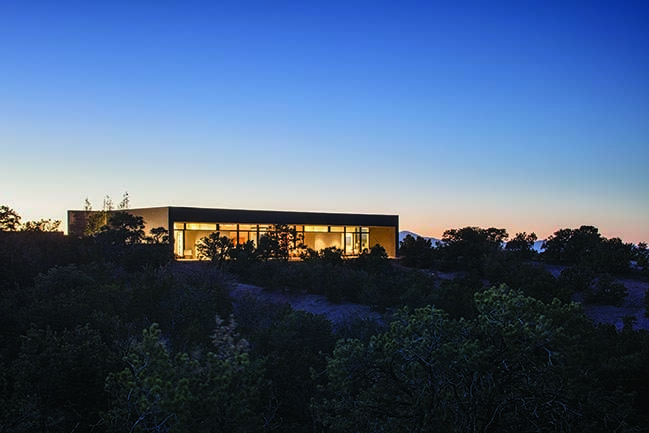 Designed by by Specht Architects. 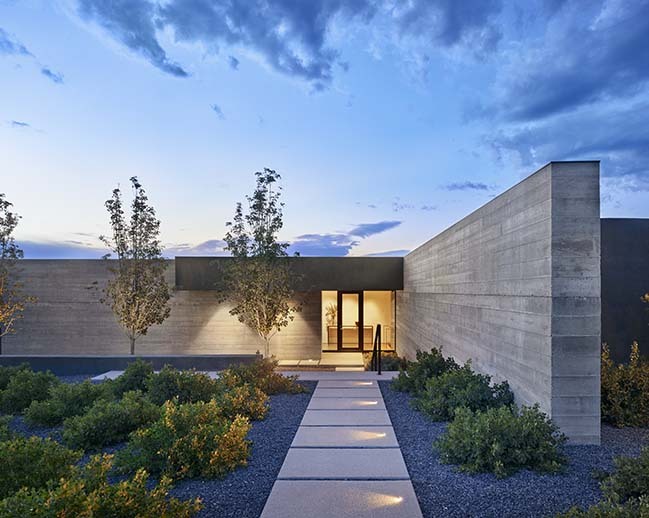 The Sundial House recently received the Jeff Harnar Award For Contemporary Architecture. 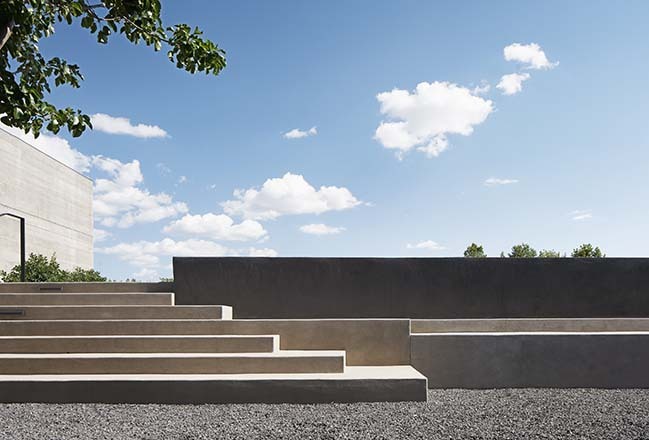 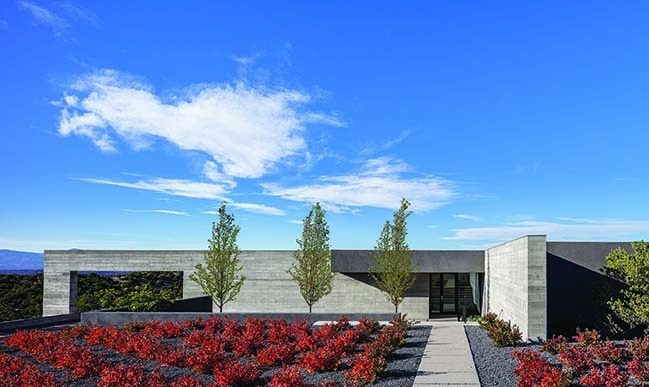 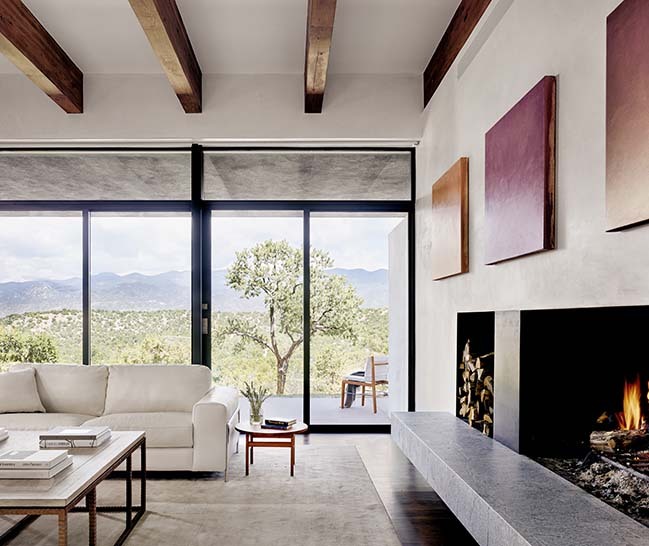 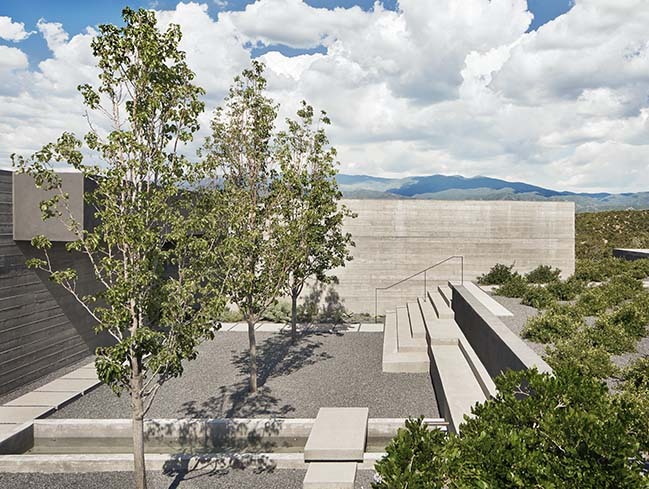 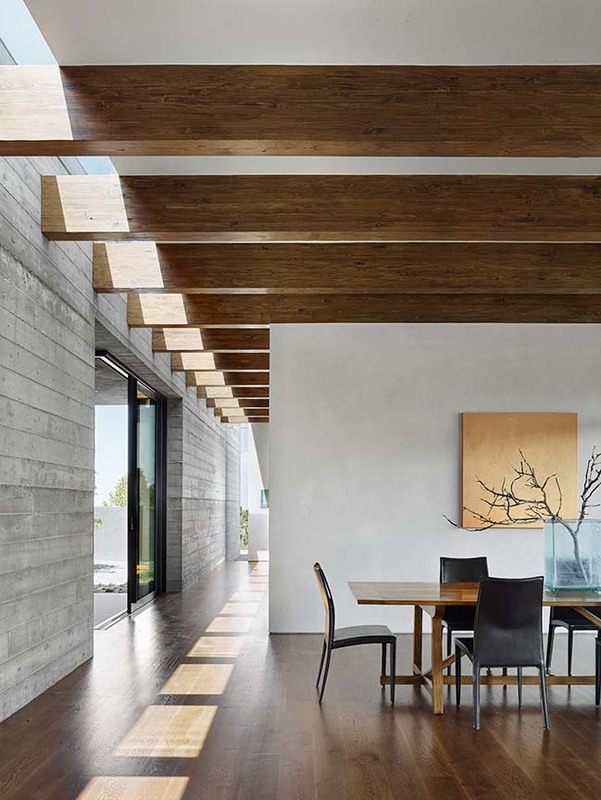 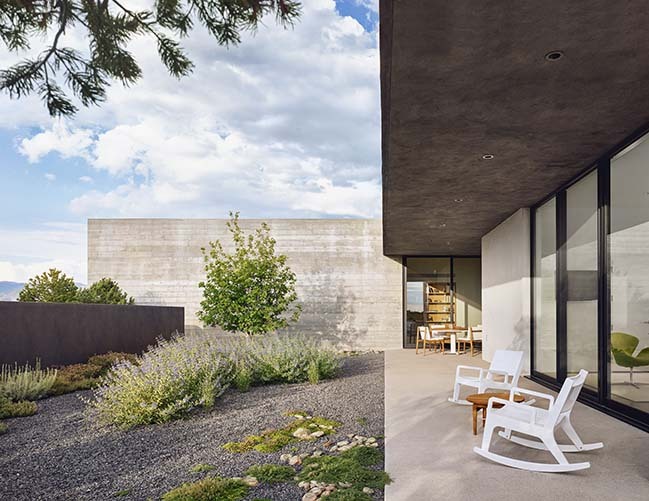 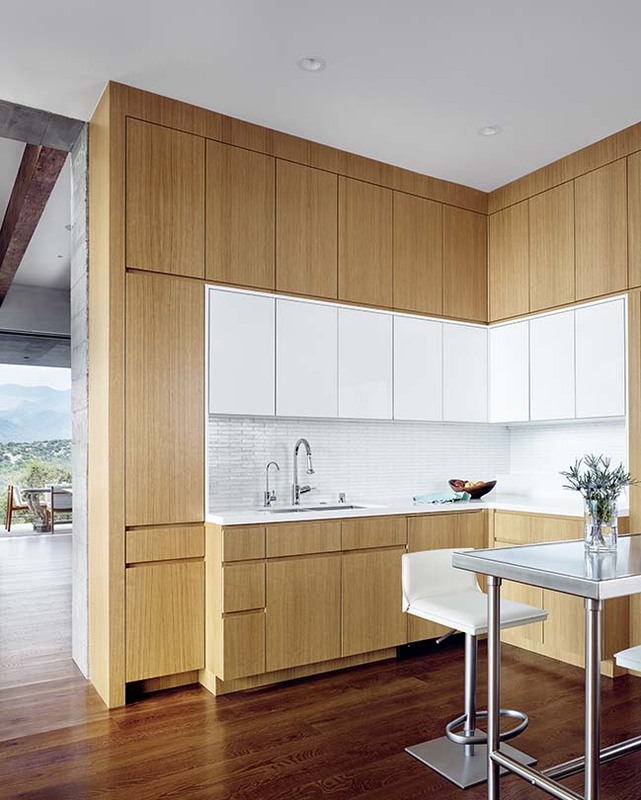 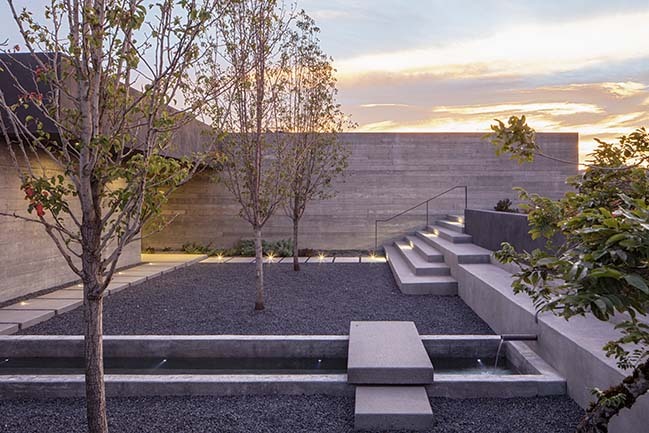 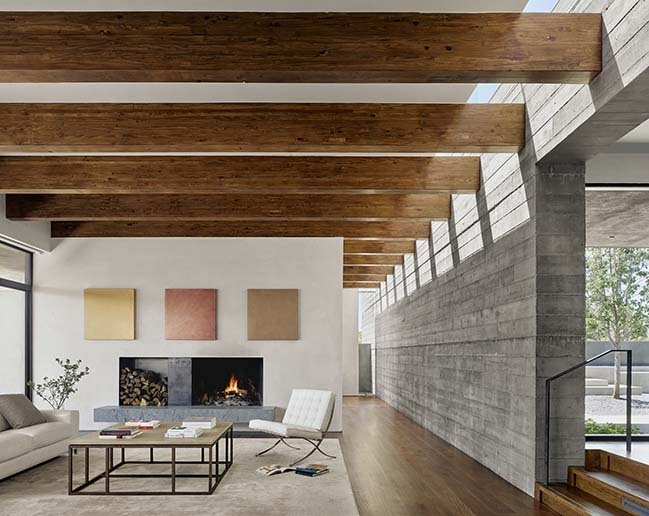 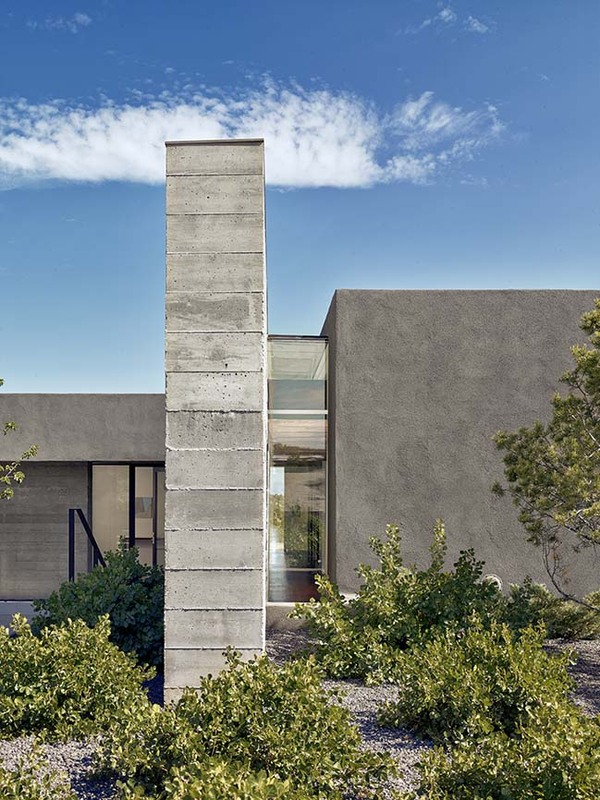 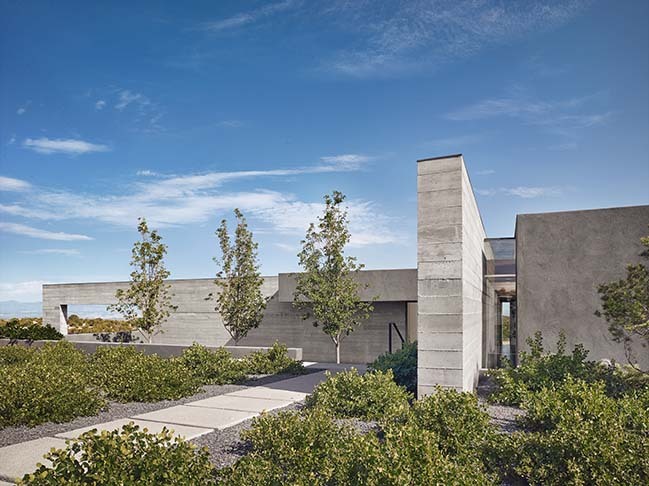 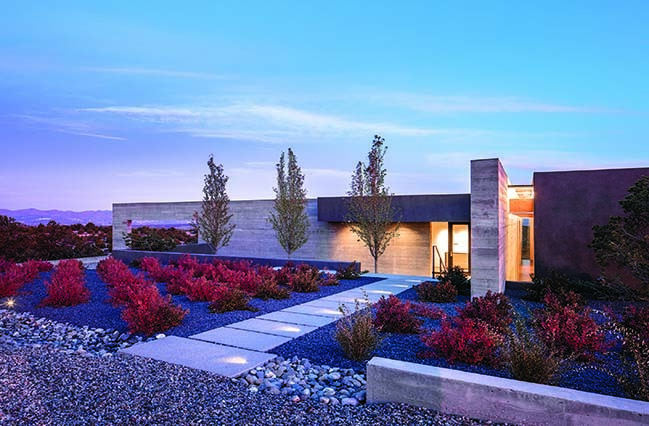 From the architect: This ridgetop house in Santa Fe is organized around two perpendicular board-formed concrete walls. 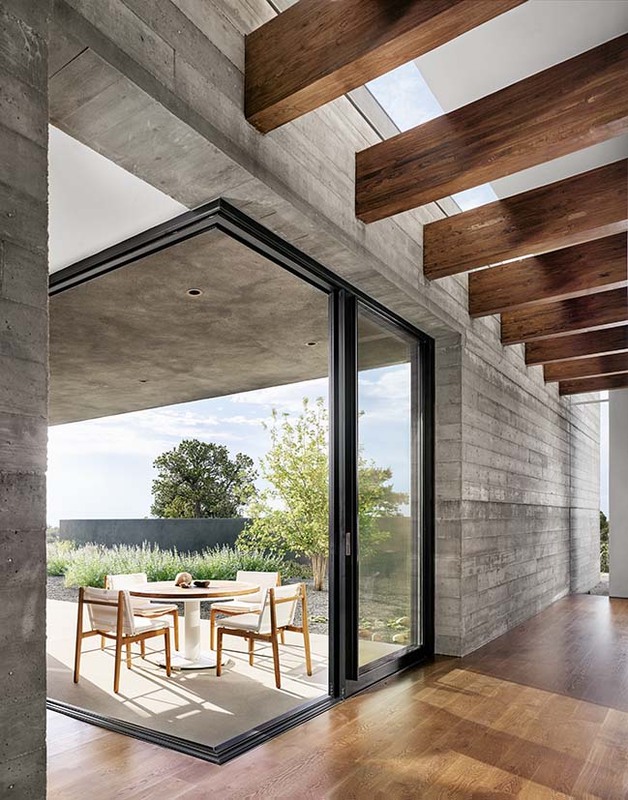 The walls are an element of continuity, linking interior and exterior spaces and the landscape beyond. 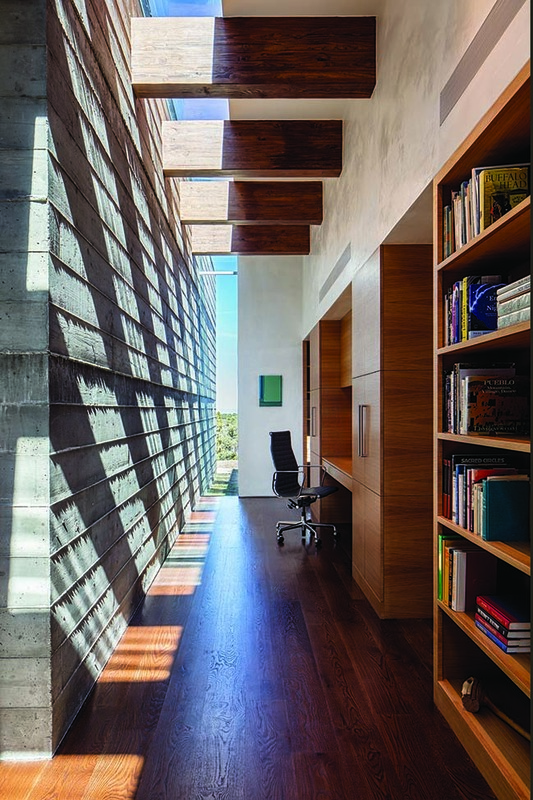 A narrow skylight runs the entire 125’ length of one of the walls, casting changing shadows on the rough concrete over the span of the day.